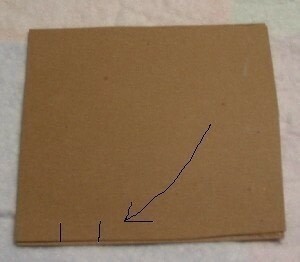 Take the strip of cardboard and measure out points about two inches apart lengthwise. Mark each point with the pencil. Take the sharp point of the pencil and poke a small hole in the cardboard at each of the pencil marks, making sure they are centered. Take the ball of twine and scissors. 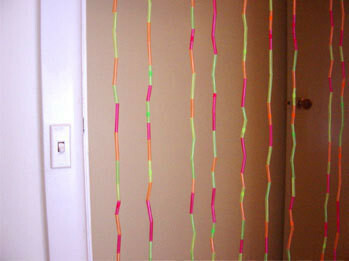 Measure and cut a length of twine that reaches from above your doorway to the floor. Repeat, creating several identical lengths of twine (as many as there are poked holes in the cardboard). Thread one length of twine through a hole in the cardboard. Tie it off at the top, securing it in place. 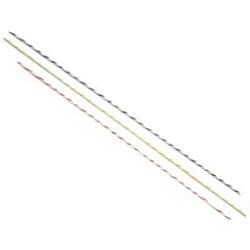 Begin placing beads onto the twine until the entire length has been beaded. When finished, lead the end of the thread around the last bead and through the hole again, creating a knot. Tie off. Repeat last step with all lengths until all the twine lengths have been attached and beaded. 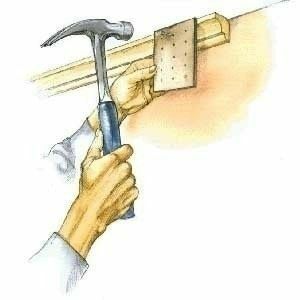 Take the cardboard strip and attach it above your doorframe, using nails. This is really amazing recycling and safe!!! Im sorry but this is not your project! what kind of beads are those? did it really only take 15 minutes? I love the beadies you used !